Ernesto Valverde has admitted that he is wary of facing a ‘powerful’ Manchester United side. The Red Devils are set to collide against Barcelona in the quarterfinals of the Champions League, with the first leg of the classic encounter set to be played at Old Trafford come Wednesday night. While the Catalan giants, who currently enjoy an 11-point lead atop the La Liga table, are the clear favourites to win the continental tie, Barca boss Ernesto Valverde refuses to underestimate the Mancunian outfit. Despite having struggled at the start of the season, Manchester United have seen a drastic change in their fortunes under their newly-appointed full-time gaffer, Ole Gunnar Solskjaer. 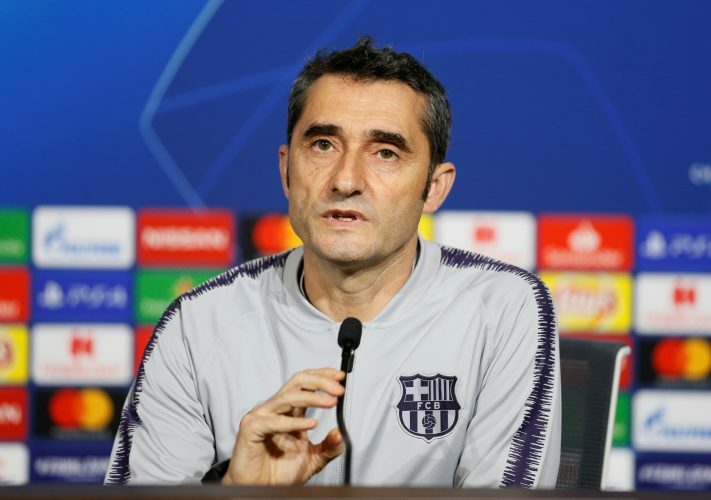 The team has played an attractive brand of attacking football under the Norwegian tactician, and the physical attributes of their players could create some major problems for Barcelona, Valverde has opined. The Spanish gaffer spoke in detail about the Premier League giants in a recent interview, stating (via M.E.N. ): “They are a powerful team. They are going through a good run, even if they lost their last match (against Wolves). Will the Spanish side successfully secure its first win at the Theatre of Dreams this week?